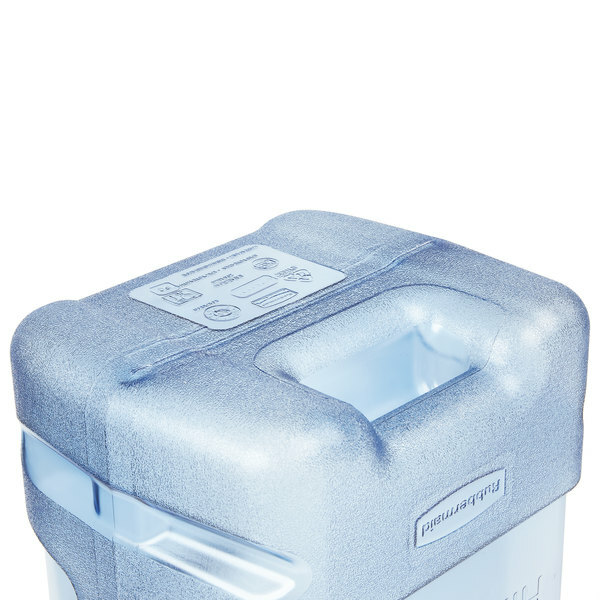 Ice Storage Capacity 5.5 gal. Safely and easily transport up to 25 lb. 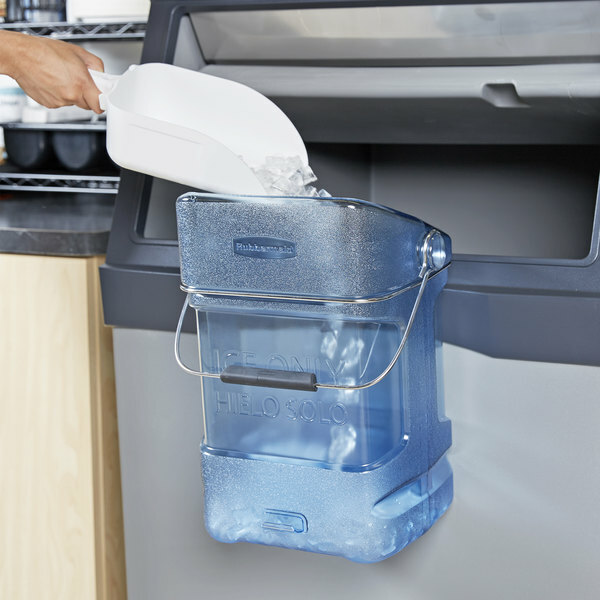 of ice with the Rubbermaid FG9F5400TBLUE ProServe ice tote and bin adapter! With a capacity of 5.5 gallons, this bucket is perfect for restaurants, cafes, bars, and catering services. 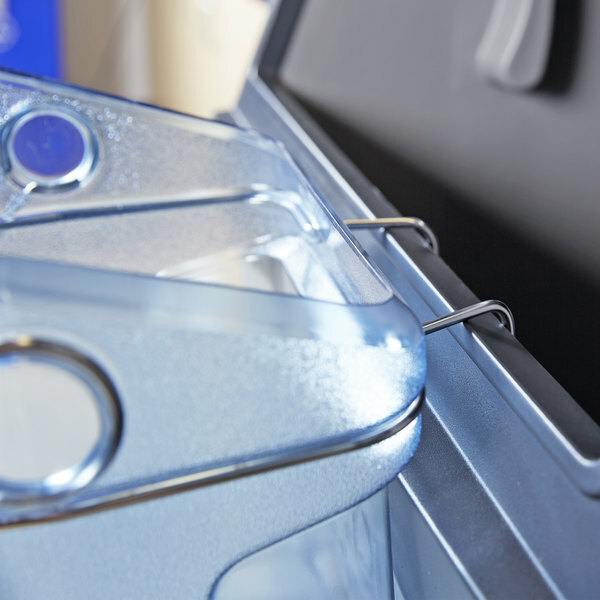 The innovative design of the ice bin hook adapter allows you to attach your tote to nearly any ice bin so you can greatly reduce the risk of physical stress and bodily injuries. 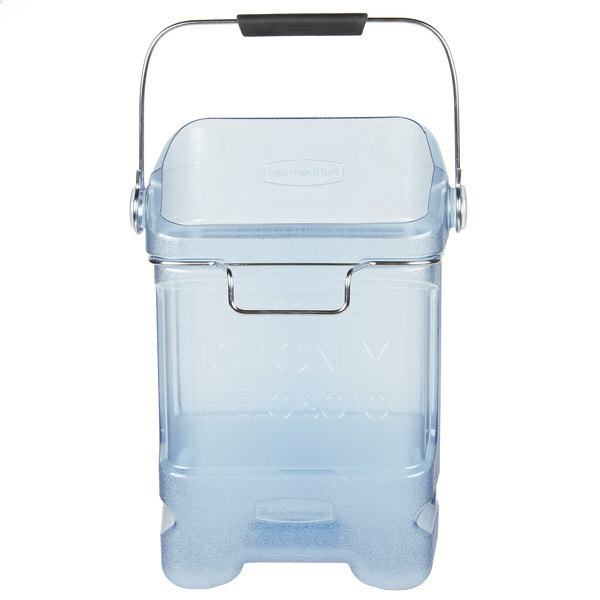 Featuring an ergonomic handle for comfort and a sturdy, square design, this bucket takes the hassle and struggle out of keeping your drink station stocked with ice. 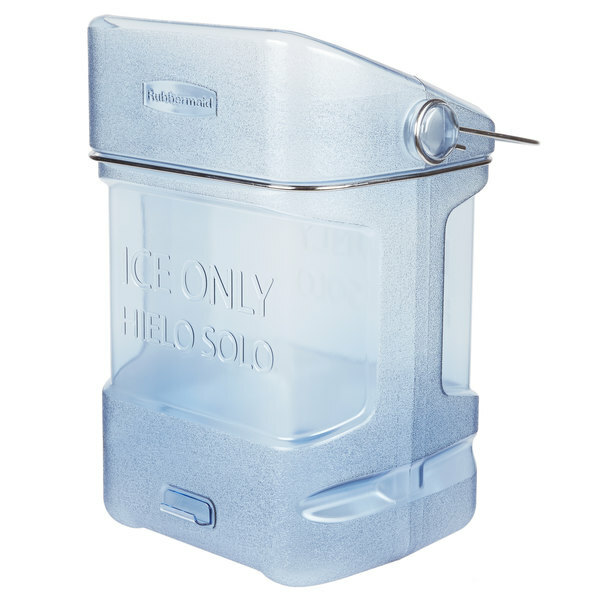 Plus, the angled top opening helps prevent spills when filling and acts as a spout for enhanced control when pouring ice. This tote is constructed of tinted blue polycarbonate for long-lasting durability throughout your heavy-duty use. 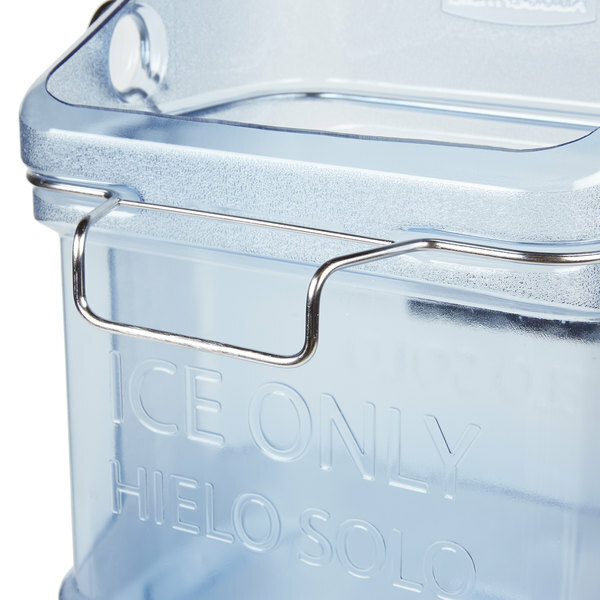 With the words "Ice Only" printed on the outside, this ice tote notifies workers of its application to help prevent cross-contamination in the kitchen. 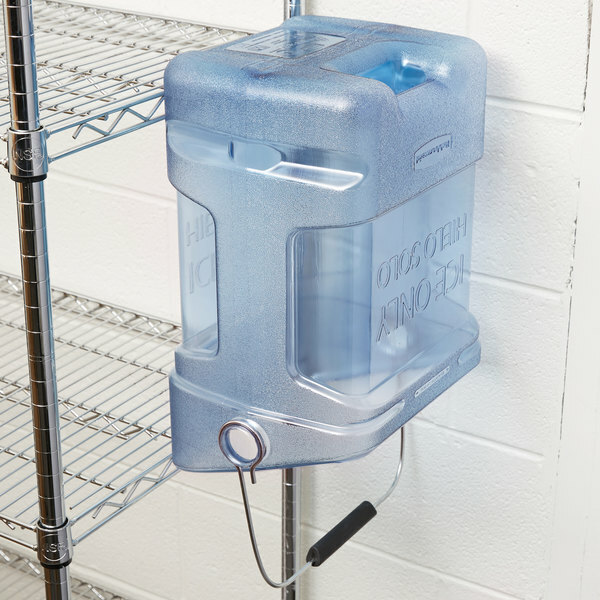 Its non-nesting design ensures safe and sanitary storage so, you'll no longer have to worry about contaminants collecting between your totes! Easy to assemble with the hook. Feels sturdy. 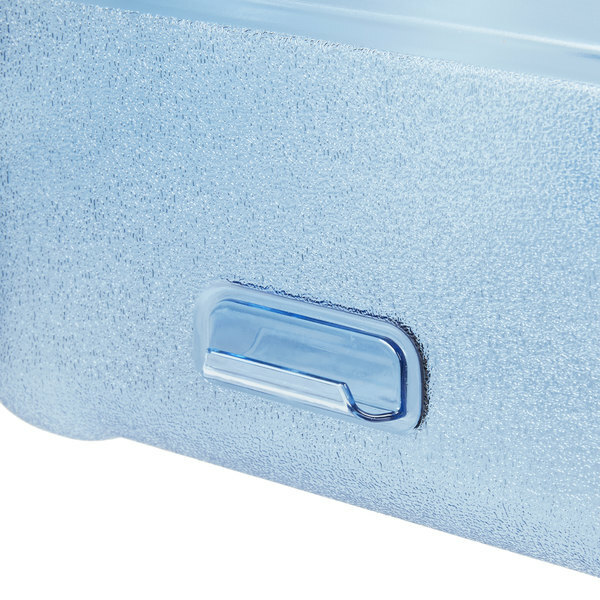 Holds a good amount of ice and makes it easy to transport. Hangs of the end of ice machine. This ice tote is just what we needed! We were not disappointed with this product. The quality and size are perfect for the workers who help in our kitchen. 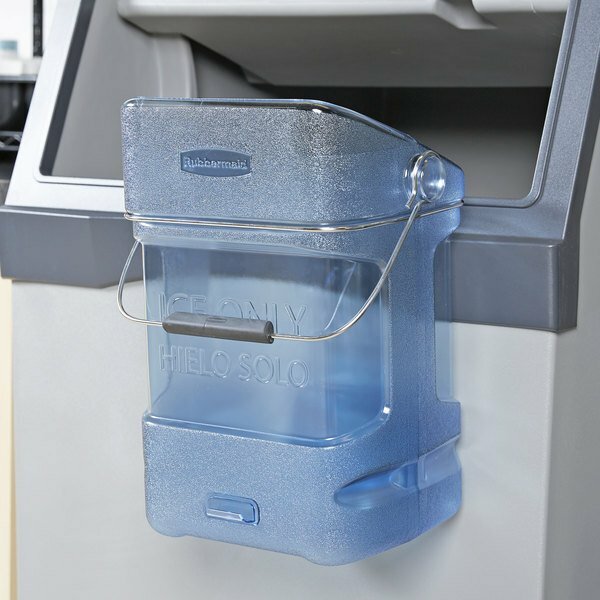 very nice ice tote, I think the adapter is going to work well for our older employees! I definitely like the shape a lot better than most of the ice bins out there! Great ice bucket for transporting ice from the machine in the kitchen to the front ice bins in the server areas. 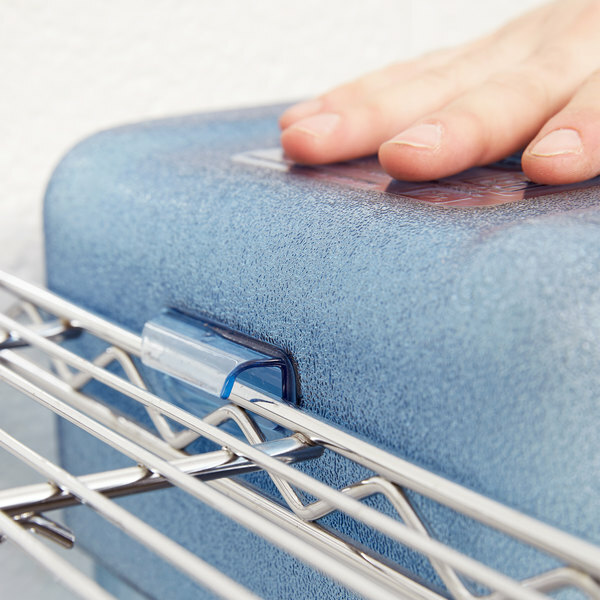 It hangs on the bin for easy storage. Great ice tote. 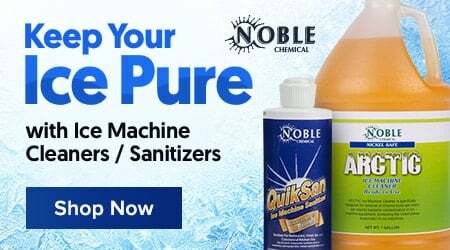 It's very easy to clean and use. The added bracket for hanging off the ice machine is so helpful for filling the bucket. The bucket is also very easy to pour. The bucket is nice because of the flat surface for dumping ice into bins, however there are two issues with it. One the clip to use to hang it on the ice bin for filling seemed to come off periodically, the other being and the more serious issue is that a corner broke a few weeks after buying it, I contribute that to employee abuse more than the bucket. The plastic is not as thick and as durable as the main ice bucket companies however. 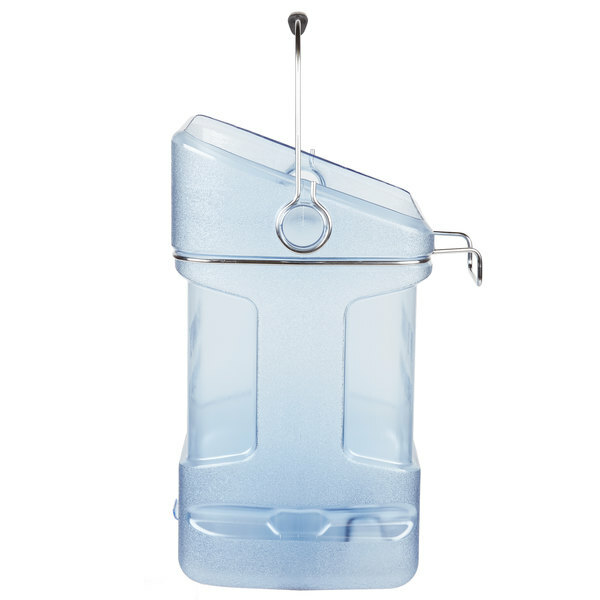 This ice tote has a great design but we have ordered 2 of these and found them to be made of very weak material. The corners on both have cracked; one after only 6 months of use. The material used for this product is very thin in the corners and does not withstand normal use. Very disappointed with this product. Thank you for your review! We're sorry to hear these cracked after only 6 months of use. A Customer Solutions Representative will remain in contact until the issue is resolved. Perfect container for hauling ice to my cold buffet tables. Much cleaner than getting a five gallon bucket. This is only used for ice so the is no contamination. We needed a replacement for this same item that broke when dropped. The price was right and service and ship time was great, received quickly. We bought two of these and have not had to buy another ice bucket since we opened. They are the right size for our operation, durable, and don't take up a lot of space. Very good ice tote at a great price. Our restuaruant staff loves this tote and feels it is an improvement over the round ones we previuosly used. 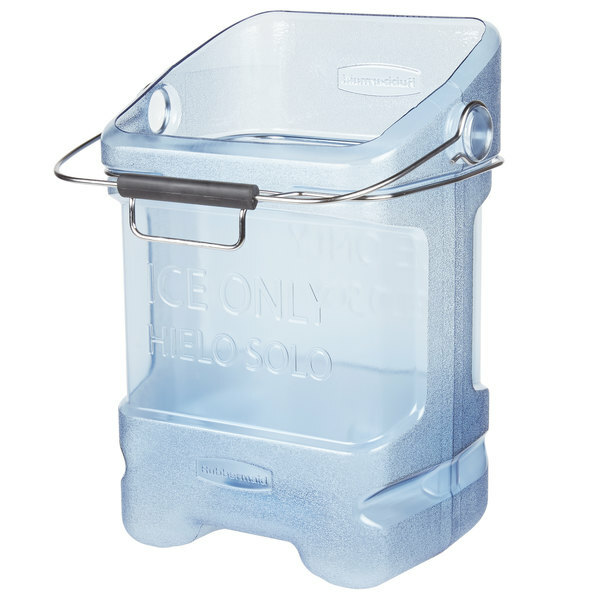 The ice bin adapter is a ice saver and a back saver as there are fewer ice spills.